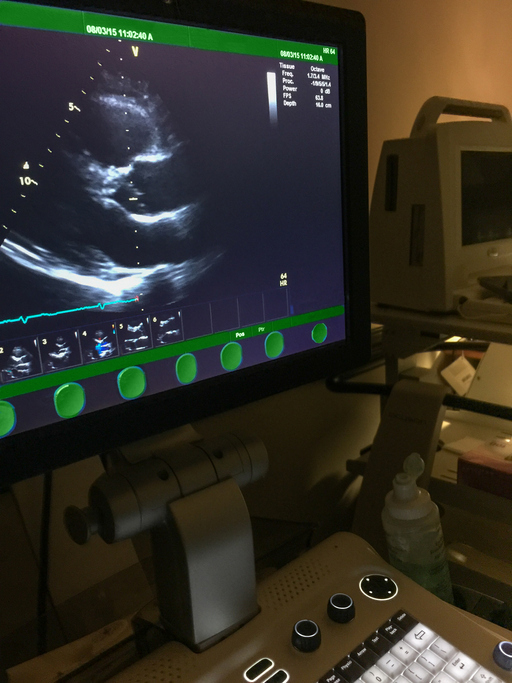 At Hunterdon Cardiovascular, when we want to get a better idea of how your heart is beating and pumping blood, one of the first tests we perform is an echocardiogram. This test doesn’t involve any radiation and is a basically risk-free way to check for signs of heart disease. How does an echocardiograms create these images? Your Hunterdon sonographer takes the handpiece/probe, called a transducer, and passes it across your chest. The probe sends sound waves down into your chest. These waves bounce off your heart and return to the probe. They “echo” back, if you will. The computer associated with the system then assembles this information into pictures that are viewed in real-time on a video monitor next to the patient. 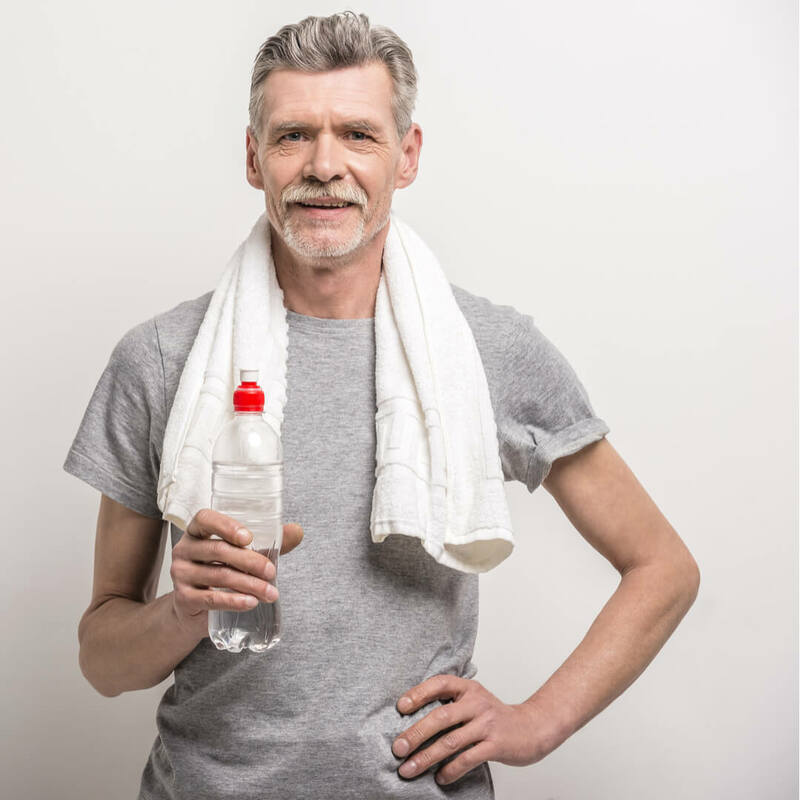 Who is a candidate to have an echocardiogram and what is measured? Excellent experience especially with Dr.Horiuchi and Dr.Schafranek. Transthoracic echocardiogramThis is the standard type of echocardiogram described above. If we need more detailed images, or if we are unable to get a clear picture of your heart with the standard echo, we may move to this type. Your throat is numbed and you’re given a sedative. A flexible tube containing a transducer is guided down your throat and into the tube connecting your mouth to your stomach, the esophagus. The transducer records the sound wave echoes from your heart. 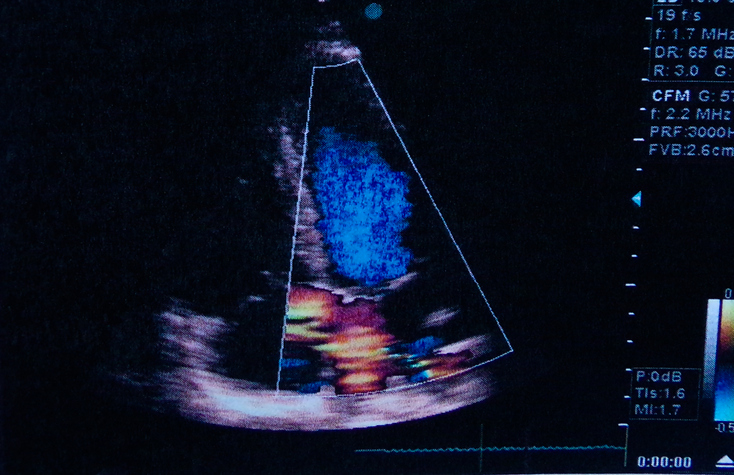 A computer converts the echoes into detailed moving images of your heart, which are displayed on the monitor adjacent to the examining table. When we focus on the blood flow in your heart, this is called a Doppler echocardiogram. This measures the change in pitch when the sound waves bounce off blood cells moving through the heart and blood vessels. These changes are known as Doppler signals and they allow us to measure the speed and direction of the blood flow in your heart. Doppler techniques are used in both transthoracic and transesophageal echocardiograms. In many cases, problems will only show themselves when the heart is working hard, as during physical activity. This is particularly true when looking at flow through the coronary arteries. Ultrasound images of your heart are taken when you are at rest. Then you walk on a treadmill or ride a stationary bike for a period of time to elevate your heart rate. Recent technological improvements with echocardiograms have allowed the creation of three-dimensional images of your heart. 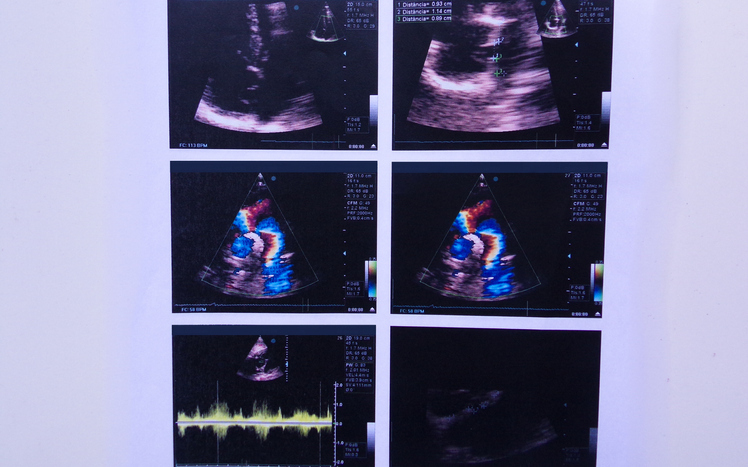 These images overcome many of the limitations presented by two-dimensional echocardiograms. Real-time 3D echocardiography allows single- or multi-beat data. Strain rate imaging is a way of measuring deformation of the heart muscle during the echocardiogram, usually using Doppler signals. What are the risks involved with an echocardiogram? There are no risks involved with standard transthoracic echocardiograms. Sound waves have no negative effect on the human body. With a transesophageal echocardiogram, your throat may be sore for a few hours after the test, but that’s about it. Stress echocardiograms may cause an irregular heartbeat. Serious complications during stress echocardiograms, such as a heart attack, are very rare. These are very low-risk tests. When will I learn the results of my echocardiogram? Your Hunterdon Cardiovascular doctor will review the pictures of your heart within 24-48 hours after your test. The results will be prepared in a report that will describe your heart’s anatomy, heart movements, and any defects or abnormalities observed during your test. You will likely know the results of your test within 3-4 days. These will also be shared with your family doctor.